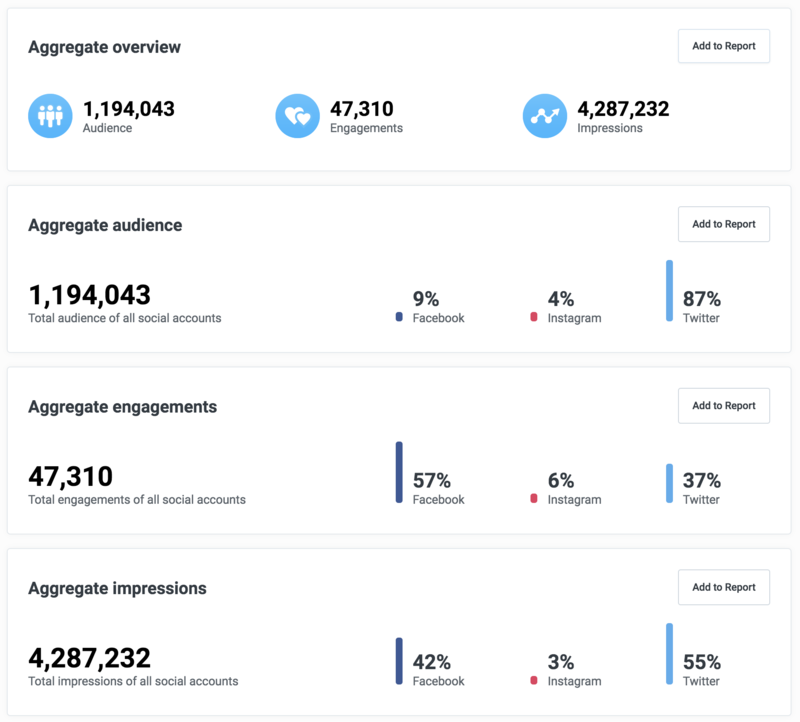 The Aggregates tab allows you to see your performance on social media across all of your social accounts. Select the date range you'd like to analyze at the top right of the page. Right now, the data shown here is an aggregate of metrics across all social accounts. We'll be adding a filter soon, allowing you to select specific social accounts. You’ll notice an Add to Report button at the top right of each chart. Learn more about creating custom reports here.